Home > News > KC Updates > Vote Attack on Titan for the Goodreads Choice Awards! 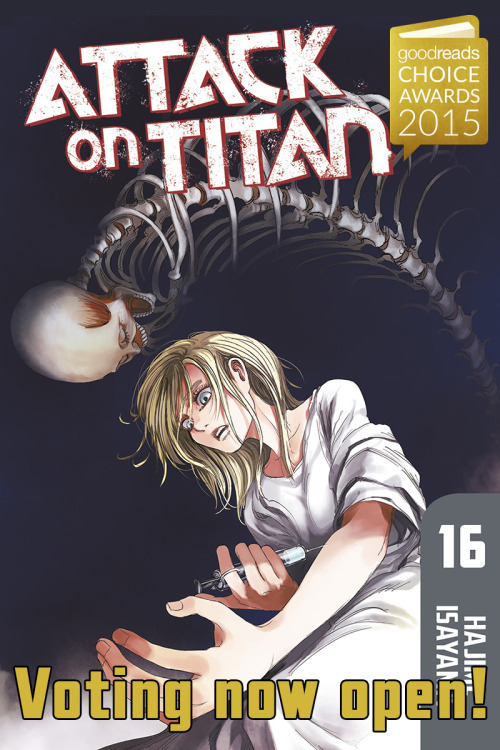 Our hit manga Attack on Titan has been nominated for a Goodreads Choice Award! Attack on Titan is the only manga to be nominated for a 2015 Goodreads Choice Award for Best Graphic Novel/Comic! Voting in this opening round is open until this Sunday (November 8) to all Goodreads users, so head over and vote!